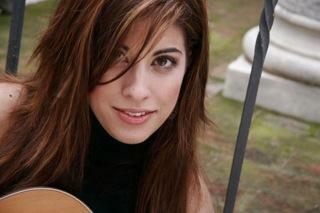 Host Steve Potter talks with French guitarist Gaëlle Solal. Solal also performs live in our studio including a web only extra performance of Agua Y Vino . She was born in Marseilles, France, in 1978, and began playing the guitar at the age of six. Her St. Louis debut performance will include music from Spain, Turkey, Brazil and France. Solal performs Saturday, September 29, 2012 at 8:00 p.m. at the Ethical Society of St. Louis as part of the St. Louis Classical Guitar Society's series. Gaëlle Solal also played a piece after the program called Agua Y Vino. You can also listen and download the songs performed on Cityscape by visiting St. Louis Public Radio's SoundCloud page.